​Primal Dog Food Reviews, Ratings, Recalls & Ingredients! Primal Pet Foods is a San Fransisco-based pet food company founded in 2001 by Matt Koss. Koss developed Primal Pet Foods based on a veterinary-recommended diet for his dog, Luna, who began to show signs of renal failure. As a result, Luna’s veterinarian suggested biologically appropriate raw foods for pets to provide a completely raw diet. Raw meat and animal bones, he said, could help reverse side effects. Primal Pet Foods uses antibiotic-free and steroid-free animal meats for its products for both your cat and dog. The company partners with high-quality poultry and game ranchers in the United States to provide only the best ingredients for its products to provide your pets a balanced diet. Several products complete the Primal Pet Foods brand, from Raw Meaty Bones to Freeze-Dried Dog Food Formulas to Raw Frozen formulas. Most noteworthy, Primal Pet Foods guarantees 100% satisfaction and success with each of its products. Primal dog food is one of the most unique dog food products I have seen. A raw diet for dogs comes with many mixed opinions by dog owners and veterinarians. So, to get a better idea about a raw-food diet to form my own opinion, I checked out some trustworthy Primal Raw Dog Food reviews and articles. Along with other articles that express a similar concern, I came across a USA Today article that explained why a raw-food diet for dogs sounds like a good idea, but may not be. According to the FDA, raw meat products can carry a risk of illness-causing pathogens for dogs. This is similar to the effect it can have on humans. WebMD confirms this risk is plausible and adds that there is increased risk of an unbalanced diet and choking from bones and bone pieces. However, there are also added benefits to a raw food diet for dogs that other processed foods cannot compare to. For example, healthier skin and coats, easier passing of stools, and cleaner, healthier teeth. They have a wonderful selection of freeze-dried dog food nuggets and treats in a variety of flavors! For this reason, I am giving this a 4/5 Treats rating. I do think that Primal Pet Foods is a trustworthy company whose goal is to provide an alternative option to processed pet foods by getting back to the “natural” diet of a dog. These dog food reviews, in general, agree that Primal Pet Foods dog food has helped to rid their dogs of allergies and improve their overall health. Primal Pet Foods has a lot going for it in the raw food diet department. I tend to lean on the side of its food being trustworthy as a healthy diet for dogs. 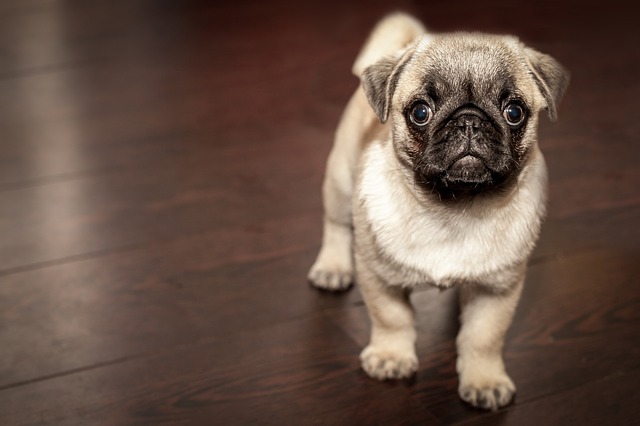 In addition to its satisfaction guarantee, Primal Pet Foods has a lot of information on its website that points to it fully understanding the concerns of dog owners and taking pride in its ingredients and process to lower those concerns. Raw meat is, essentially, the natural diet for dogs. Even though you might not see your pooch as a meat-eater, canines have, historically, thrived from a diet of animal meat. So if you want to keep your pet healthy, you will continue feeding them an animal meat-based diet. The Primal Pet Foods dog food products are loaded with vitamins and minerals, like Vitamins A, C, D, natural b-complex supplement, and vitamin E supplement, Calcium, Zinc, and Iron. This is something that raw, freeze-dried food diets have going for them over other processed dog foods. Vitamins and minerals occur naturally in many animal meats, so they do not have to be added in unnaturally. I like that salmon oil and organic coconut oil are added for essential fatty acid content. And, not surprisingly, the main ingredients are the animal proteins listed as the product type. Primal Beef Raw Frozen Formula, for example, contains 77% raw beef composed of hearts and livers, followed by ground beef bones. Additionally, Primal Pet Foods adds organic produce like vegetables, fruits, and seeds, like kale, squash, blueberries, and sunflower seeds, to balance out your dog’s diet as much as possible. All of the nuggets are also grain free to make sure the food is as least processed as possible. On top of its excellent ingredients list, Primal Pet Foods is a trusted company by its loyal users. Dog owners who are feeding their dogs Primal products give positive reviews that mention all the benefits they have seen for their dogs since using the grain free, freeze-dried nuggets and treats. With the jury still out on whether or not a raw food diet is the best for a dog, I am not comfortable giving this food a full 5/5 Treats rating. But aside from that, I am less than impressed with the protein content of Primal Pet Freeze-dried food. Being that it is a raw animal meat diet, I would expect much more than 14% crude protein content. Other non-raw dog food diets like dry dog food and wet food consist of much more protein content, which is extremely important in a dog’s diet for energy, weight management, and overall health. The products are much pricier than other dog foods, with a 5.5oz bag of the freeze-dried canine dog food varieties costing around $15 on Amazon, Chewy and other stores. There is no history of any Primal dog food recalls within the past two years, according to the FDA. In addition, online reviews do not mention any concerns about a dog or even cat food recall. In conclusion, Primal Pet Foods is a brand I would trust for my own dog’s diet. There is no definitive answer on whether or not a raw pet food diet keeps your pet healthy. But, this company is going strong in longevity and customer loyalty. There have been no recalls and I found it impossible to find any reports from dog owners of dogs saying that feeding Primal dog food to their dogs made their dogs sick. So, I am confident in saying that Primal Pet Foods is a trustworthy brand looking to provide dogs with a balanced, more natural raw pet food diet. However, be ready to shell out some extra money for Primal dog food products and you may want to add in some extra high-protein foods to their diets. But overall, the balance of vitamins, minerals, natural b-complex supplement, essential fatty acid, organic produce, and animal proteins make this dog food a solid choice for your dog.